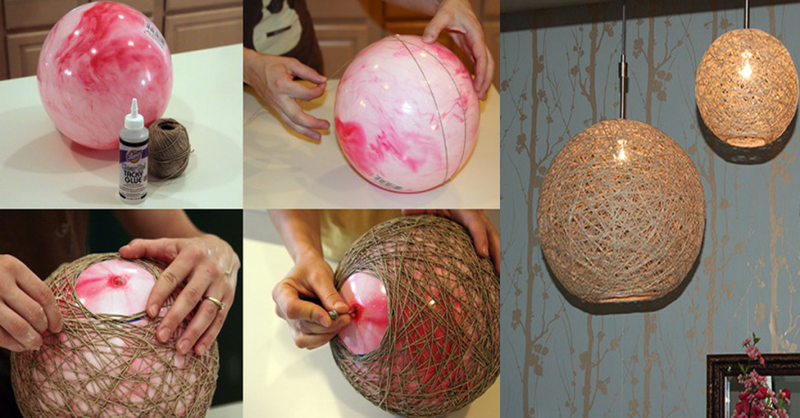 This Easy DIY Hemp String Pendant Lamp is a quick and simple project that anyone can complete. The only materials you need are hemp string, a balloon and some tacky glue. The first thing you need to do is to blow up the balloon. Then mark out circles for the ends of your lamp. Once you have done this, start wrapping the string around the balloon ensuring that you leave the marked out areas uncovered. Use lots of glue to hold the string in place. Be sure to cover all of the string with glue. It will harden as it dries allowing your lamp to keep it's shape. 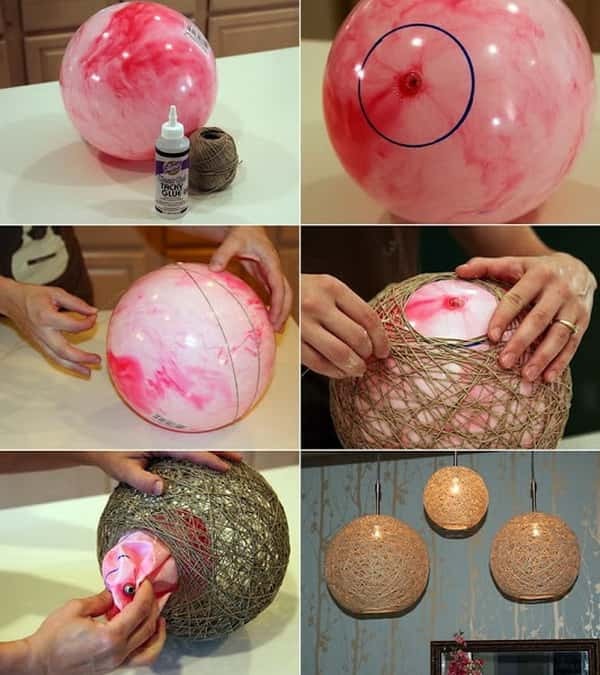 Once the glue has dried you can burst the balloon and remove it. Your light shade is now ready to hang! You can create this cool lamp for under $10.